The Glidecam Smooth Shooter is the world's most sophisticated and affordable body mounted Camera Stabilization System. Designed for Cameras weighing up to 6 pounds when used with the Glidecam 2000 Pro, or for Cameras weighing from 4 to 10 pounds when used with the Glidecam 4000 Pro. The Glidecam Smooth Shooter system will allow you to walk, run, go up and down stairs, shoot from moving vehicles and travel over uneven terrain without any camera instability or shake. 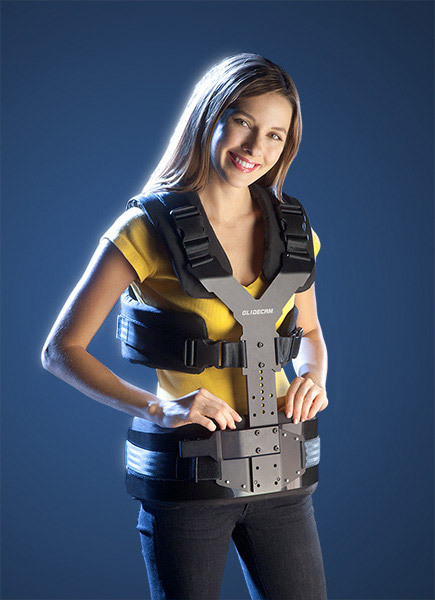 The Smooth Shooter Support Vest is lightweight and comfortable can be adjusted to fit a wide range of operators. 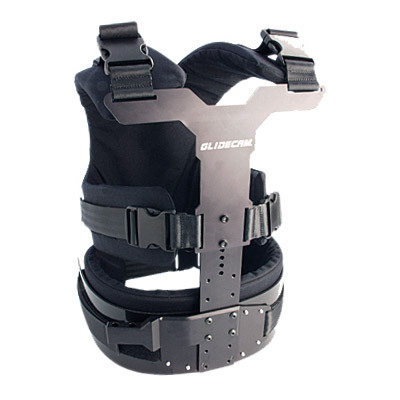 High endurance, dual density, EVA foam padding and integral T6 aluminum alloy create a vest which can hold and evenly distribute the weight of the system across the operator's shoulders, back, and hips. Made with 1000 denier cordura fabric, and 7-panel seat belt strapping. 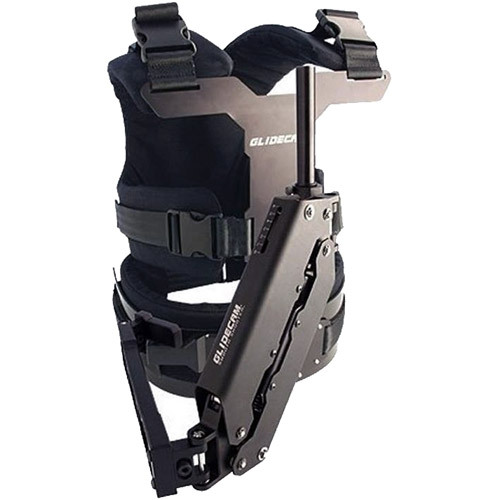 For safety, quick release, high impact buckles allow the vest to be removed quickly. 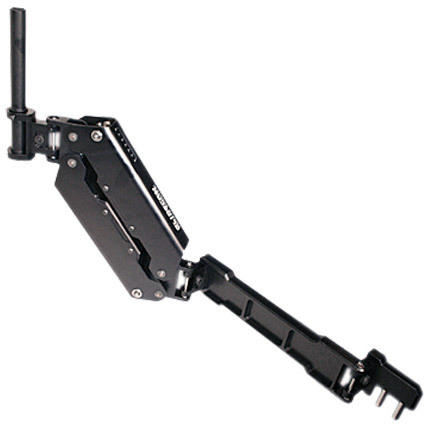 Support Arm Boom Range: 14.75"
Support Arm Weight: 4lbs 3oz in Two Spring Mode, without arm posts. The Smooth Shooter system works by isolating your body's motion from your camera, while your camera is balanced in a relatively motionless and isolated state. The Smooth Shooter's Support Arm can be boomed up and down, as well as pivoted in and out, and side-to-side. 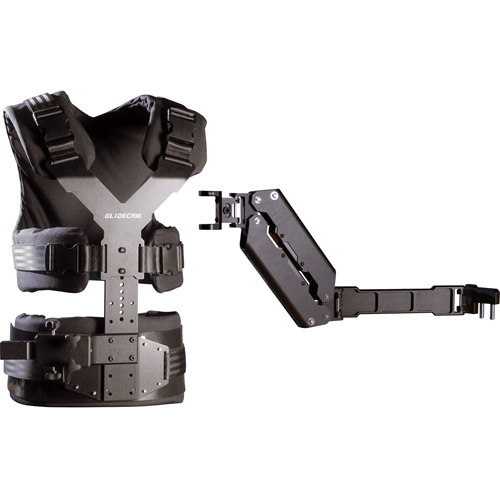 It is the combined booming and pivoting action of the Support Arm, which isolates your motions from the camera in a way that creates smooth camera footage. The Glidecam Smooth Shooter is specifically designed to be used with the Glidecam 2000 Pro or a Glidecam 4000 Pro. If you already own one of these hand-held stabilizers, then you will be able to use it by simply attaching it to the end of the Smooth Shooter's Support Arm. Neither the Glidecam 2000 Pro, nor the 4000 Pro need to be modified to work with the Smooth Shooter. You can use your camcorder's flip out LCD monitor, or a monitor that is attached to the base of your Glidecam 2000 Pro or 4000 Pro. This allows for remote viewing of the camera's image without disturbing the orientation of the system. When using the Glidecam 2000 Pro or Glidecam 4000 Pro in hand-held mode, it is your arm that carries all of the weight. 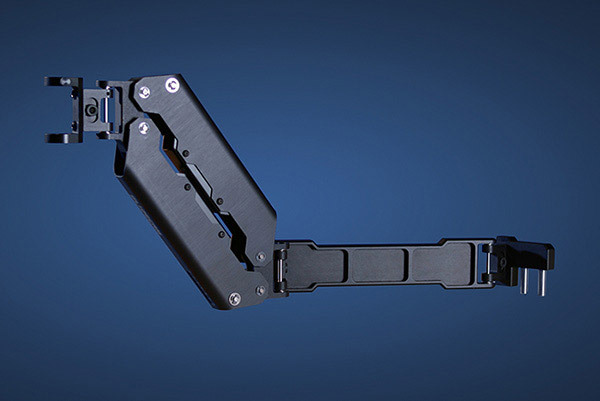 However, when the 2000 Pro or 4000 Pro are used with the Smooth Shooter, it is the Smooth Shooter's Spring-loaded Support Arm that carries all of the weight. Because of this, you will now be able to shoot for extended periods of time, whereas before, the stress associated with hand-holding the weight reduced your shooting time. The Smooth Shooter is a highly developed and meticulously engineered camera stabilization system. Its ability to shoot smooth imagery within its weight range is extraordinary. It out performs all of the competition in its class, yet remains truly economical. 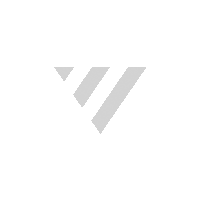 The Smooth Shooter is the realization of the need to stabilize lightweight cameras using the same degree of sophistication employed to stabilize heavy cameras. With the Smooth Shooter you will be able to acquire the type of smooth footage you've always dreamed of. Varizoom Handheld Stabilizer/Tripod for Cameras up to 9lbs.